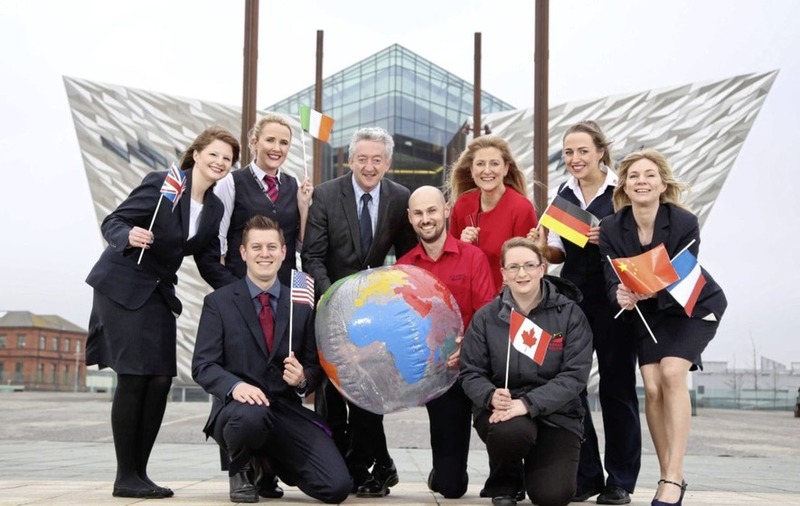 Tourism NI’s chief executive, John McGrillen is pictured alongside Titanic Belfast’s chief executive, Judith Owens and crew who have been working at the world-leading tourist attraction since opening in 2012, as it celebrates its busiest year to date. THE award-winning Titanic Belfast has recorded its busiest year to date, welcoming a record 841,563 visitors through the doors. Titanic, recognised in 2016 as the ‘World’s Leading Tourist Attraction’ at the World Travel Awards has enjoyed a year-on year increase of 13 per cent in visitors, smashing its 2012 record by 4 per cent. Titanic has now welcomed in excess of 4.4 million visitors from over 145 different countries. The announcement follows the attraction's sixth birthday and comes on the back of the 20th anniversary of the Good Friday agreement, when significant focus was placed on Northern Ireland’s tourist renaissance. Since the Good Friday Agreement was signed, overnight stays in Belfast have more than tripled from 500,000 a year to over 1.5 million and tourism spending has risen to £334m from £84m. 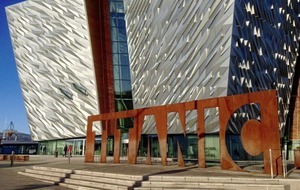 "Over the past six years, Titanic Belfast has proved to be a shining example of how a significant tourism investment, public and private, combined with passion and belief can be a catalyst for economic growth and help positively position a destination on the worldwide stage," she said. 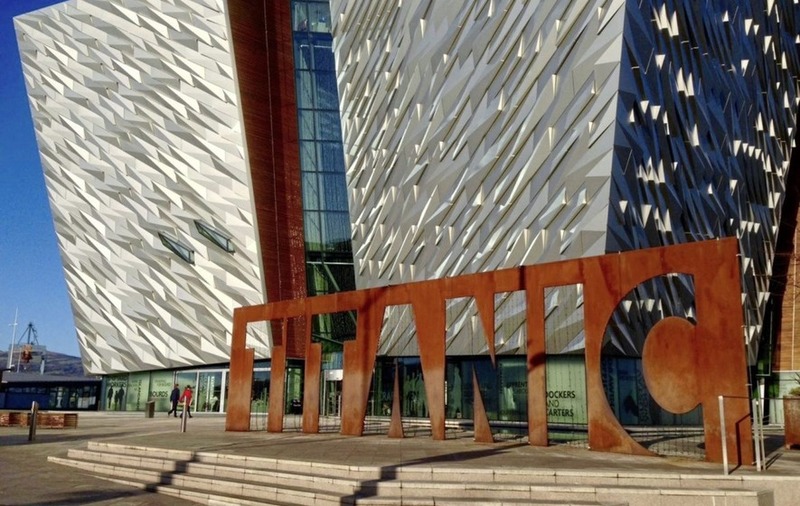 Titanic Belfast, which in its first five years, generated £160 million in additional tourism spend for the Northern Ireland economy, is gearing up for a busy year and recently opened a new hospitality space, Hickson’s Point, as well as took on a 70 staff ahead of the summer. The venue's business tourism has also blossomed, having hosted over 2,000 business and leisure events including Queen Elizabeth’s Jubilee lunch, the G8 Summit reception, BBC Sports Personality of the Year, The World Police & Fire Games International Conference, the Giro D’Italia and MTV Sounds.